We want our kids to feel safe at church. Kids should know that their leaders both love them and want their best. Kids should feel safe enough to ask questions and explore their faith in God. Kids should never feel forced when it comes to God. We need to face the fact that kids and fun are in the same sentence. If kids are having fun, they are having a positive experience. A learning environment for children must contain a strong dosage of fun. Why is connecting such a huge value? More is caught than taught. Meaning, a leader can influence a child by merely loving that child with the love of Jesus. Lots of information will be lost, but kids will never forget the name and face of someone who dared to love them for Jesus’ sake. Ultimately there are lots of things that change in a person’s life. One thing that stays forever is the decision to invite Jesus to be your Lord and Savior. Therefore, our hope is that children will be drawn to Jesus’ love and chose to receive Him as the Lord and Savior while they are still young. Jesus asks His followers to “make disciples”. Disciples are learners. Therefore children are learners. They need to learn what it means to be a devoted follower of Jesus. Our leaders are charged with making sure they are devoted followers of Jesus, showing and modelling to the kids what it means to be a follower of Jesus. Children in our ministry should be confident in their uniqueness. Discovering their unique wiring goes hand and hand in the kids discovering unique ways to make an impact in this world for God. Leaders should be aware of the fact that differentness is not betterness. God wires each child individually to impact the world differently. The Bible is God’s great love letter to His people. Children should learn to love God’s great story contained in 66 books. In addition, children must learn to apply God’s Word to their lives. Learning verses is good. Applying verses is even better. God’s Word is relevant and should always have a personal application for the child to think about. When it is all said and done, kids should be able to say they love coming to church. 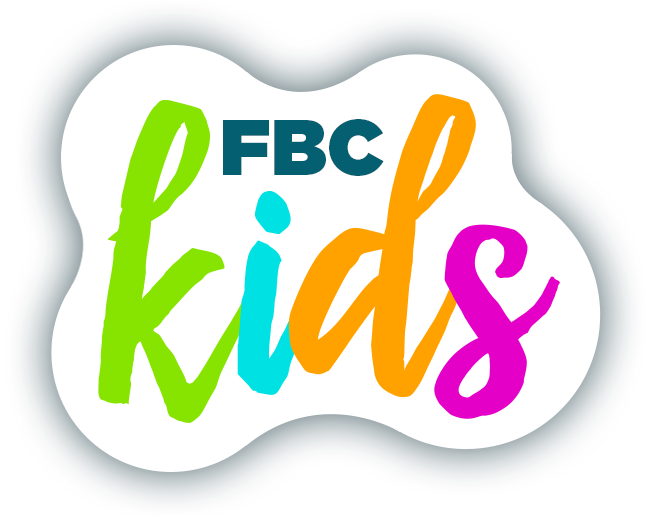 (FBC Kids) The environment that is created (safe, fun, creative, relevant, loving, child-targeted) should cause kids to learn about the love of God for this world. At the end of the day, kids should be able to say that they love being with their leaders and love being at their church.